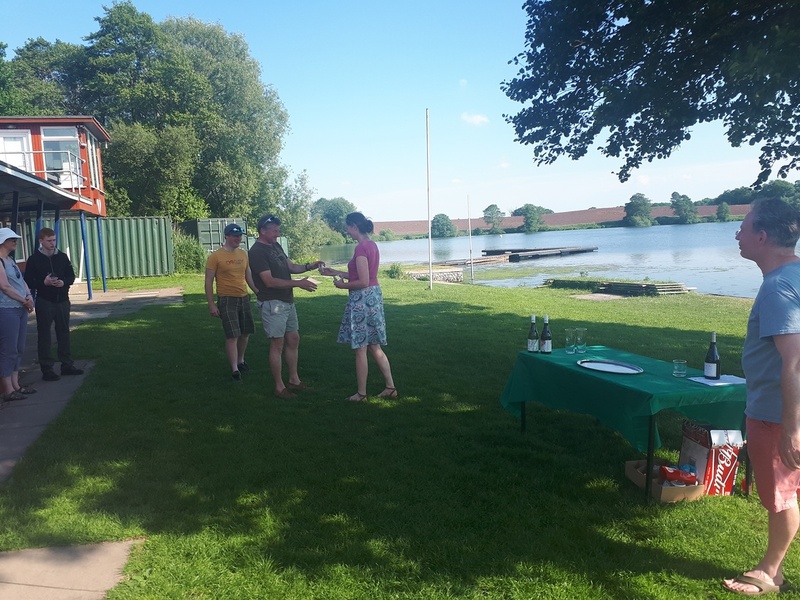 A glorious sunny day greeted the sailors arriving at Budworth Mere last Sunday, with a light westerly wind hopes rose that a thermal wind would arrive. 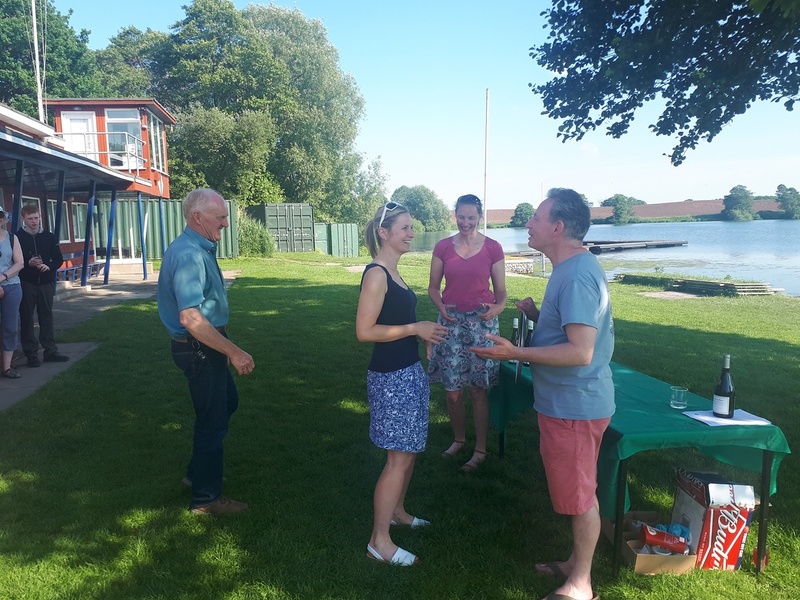 But by the time the race briefing by PRO Russell Cormack was completed it seemed that was not going to happen, with the wind unable to decide between southwest or northwest. 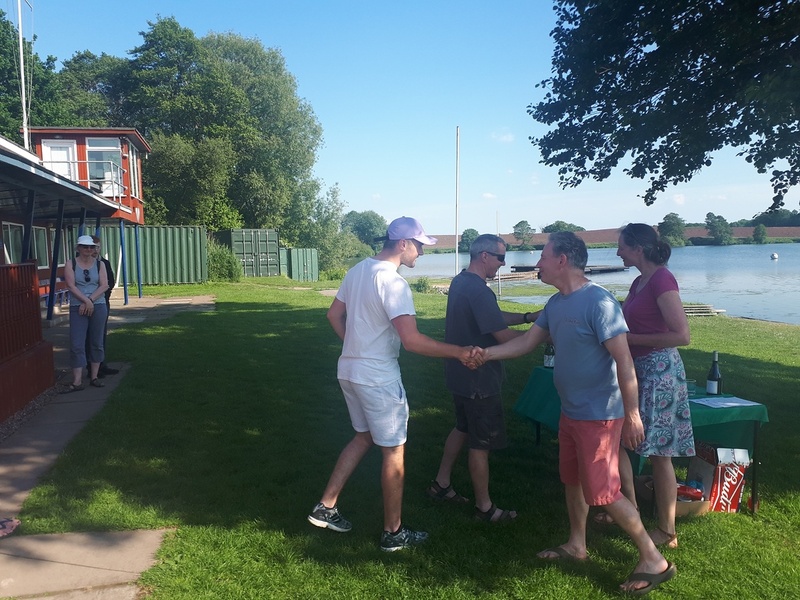 As one visitor commented, "well, we always expect shifty winds at Budworth!" The name of the game was to look for the puffs and channels and, if the big wind-shifts were timely, those who got it right made some big gains. The fleet settled into 3 groups, with the top boats fighting for clear air at the front, then a gap to a similar group in the middle of the fleet, with the rest stretching behind. 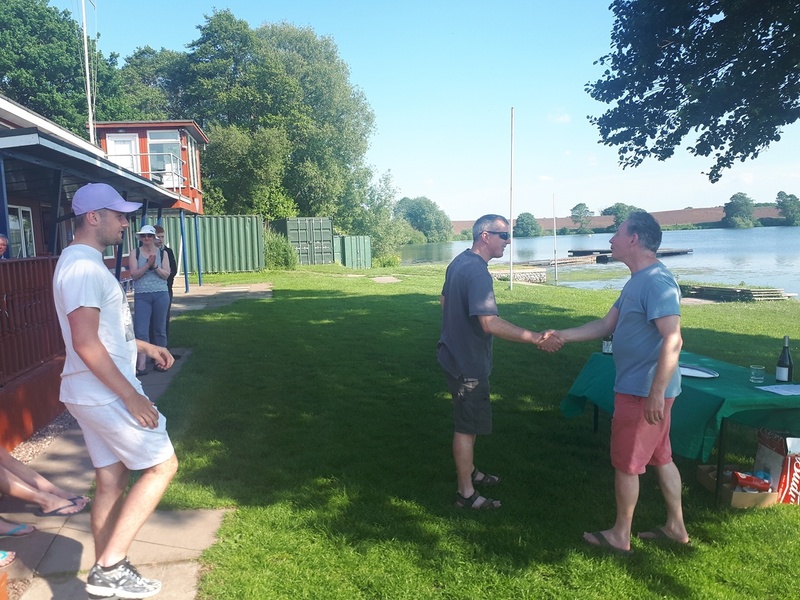 Bill Kenyon/Ali Cormack (Budworth)managed to regain their lead and finished first, with the Platt brothers Mark and Sam (Bolton) in second place and Matt Birks/Alan Jones (North Staffs) finishing third. An excellent lunch was called for and provided by the galley crew, and it became rather leisurely as it became clear that the hoped-for thermal was not going to appear and the wind became extremely light. Two or three boats decided that they had topped up their sun-tan enough for the day and headed home. 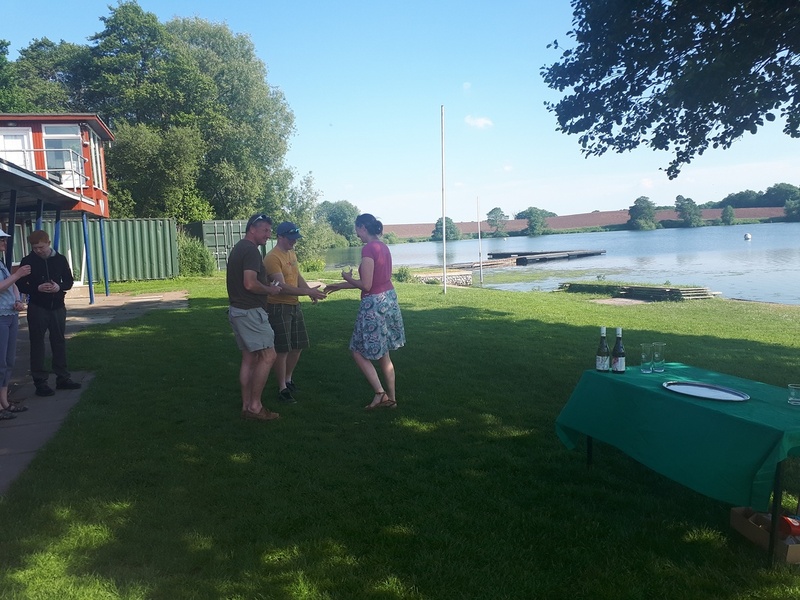 The rest launched onto the lake for the second race. 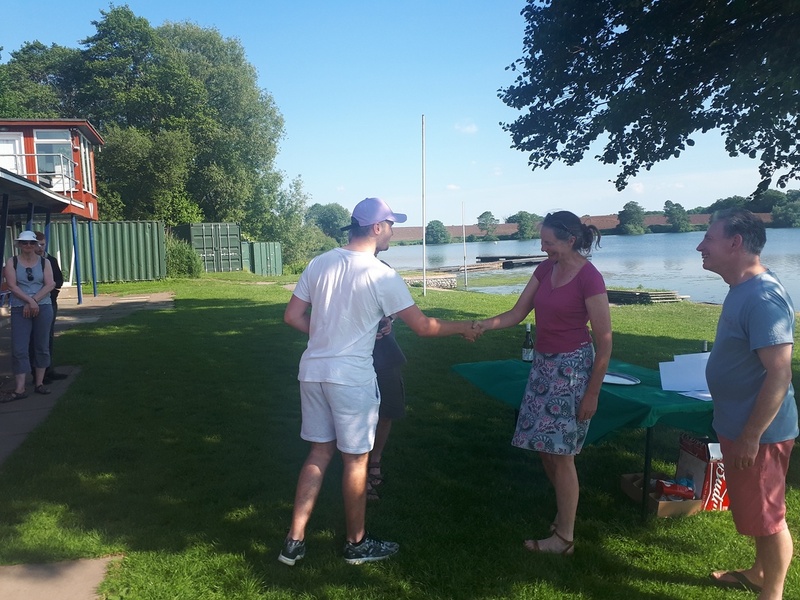 The course for the second race proved very tricky to set, and after two fleet recalls the course was reset, and we tried again – race abandoned as the start-line became far too biased! and after a big course change to a windward/leeward the fleet finally got away at the fifth attempt! As had happened in the morning, the top sailors managed to make better use of the light winds, but place changing became difficult as the expected beat changed towards a fetch. 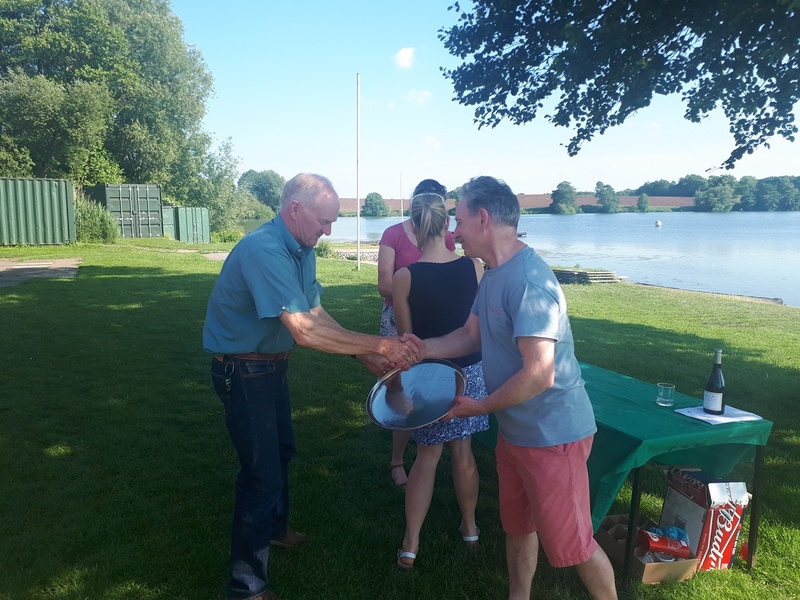 The new pairing of Graham Tinsley/Ben Ditchburn (Budworth) managed to find the right course to take top spot, followed by Bill and Ali in second place and Nick Devereux/Geoff Edwards in third. With the wind failing to improve the third race was abandoned. 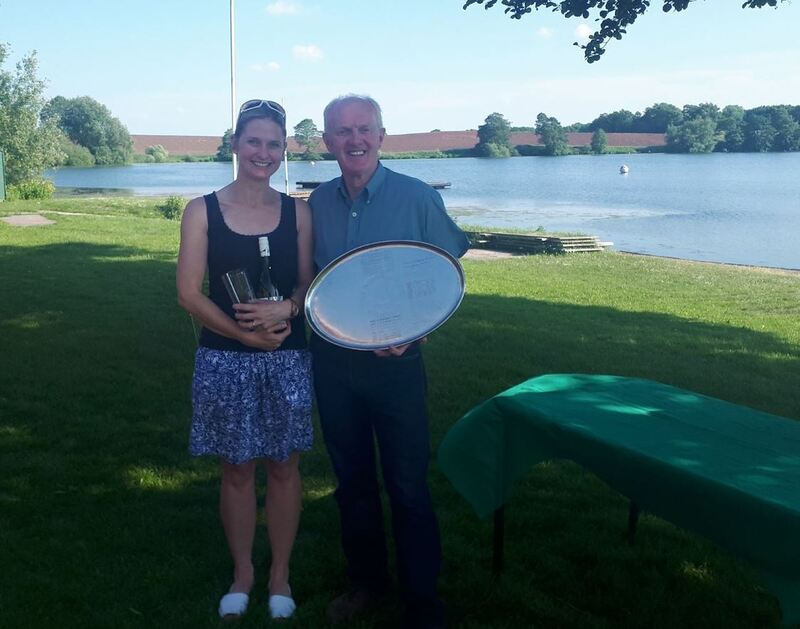 Club Commodore Hugh Devereux and fleet captain Caroline Cawood offered thanks to the race officers, galley and rescue support teams and all the visitors and awarded the prizes for the day. 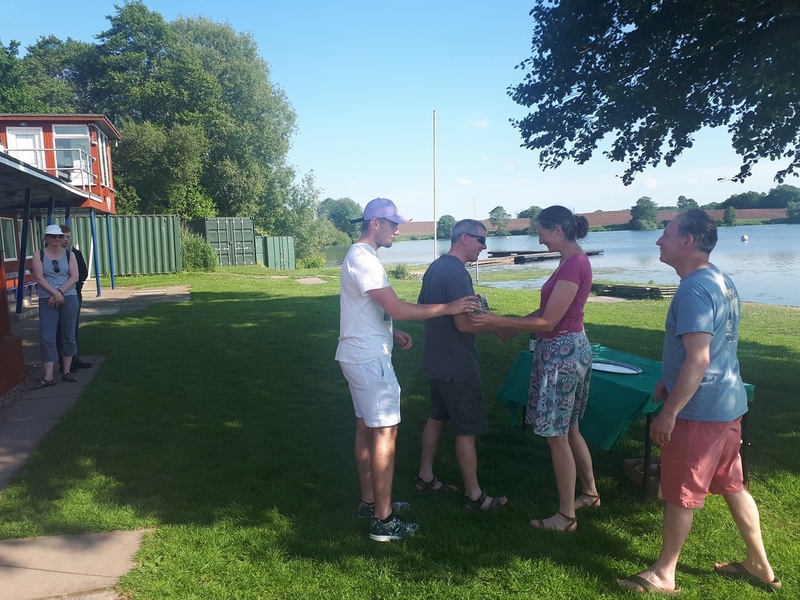 Overall results were: First place: Bill Kenyon/Ali Cormack, Second Place Graham Tinsley/Ben Ditchburn and third place Mark and Sam Platt. 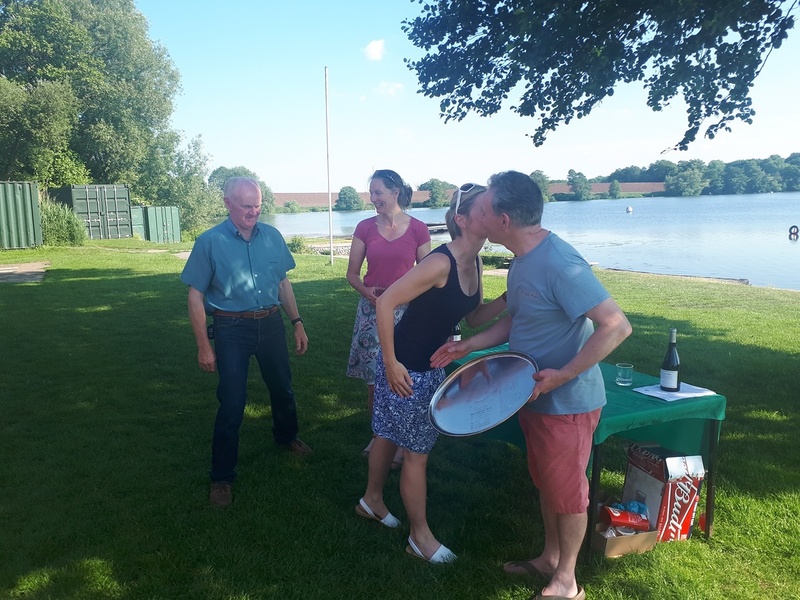 Silver fleet prize went to Chris Hearn/Caroline Cawood (Budworth) and Bronze fleet was awarded to Simon & Steve Joyce (Budworth).